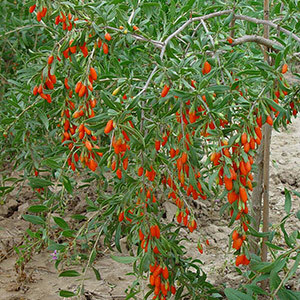 Healing properties of Lycium barbarum /Goji Berry/ are well-known for millennia in China. 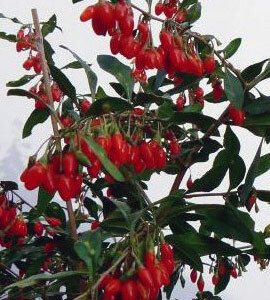 Ancient medicine book “Tractate for herbs and their properties” took a special attention to Goji Berry. It is written that its fruits restore the depots of body liquids, calms the soil, revitalize the skin and strengthen the vision. In another Chinese classic book “Herbs and food healing” is written that the Goji strengthen the muscles and tendons, protects from illness and lead to long living. The poet Liu Juncy from the Tan dynasty (618-907) praises the herb miracle effects in a poem for Goji. It is written that even the water from the well close to the plants could help the people to reach long living. One of the most famous phyto-therapists and healers in Chinese history, Li Shudjun, in his famous work “Foundations of Pharmacopedia” from 1578 mentioned, that the people from the village Nanchu has the habit to eat Goji fruits and almost all of them are centenarians.